When you’re Southern, okra is always in season… and always fried. There’s no escaping that golden hill of fried nuggets piled high next to your burger, seafood basket or fried chicken. But once you pop so many of the green, fuzzy, funny-looking pods that your New Year’s dress barely fits (nope, not talking about anyone in particular!) you try to devise ways to eat the South’s favorite, funky veggie-but with your thighs in mind. Chef Hubs commanded, “High temp, bold spices!” as he set the oven on 500 degrees and sliced the okra lengthwise. 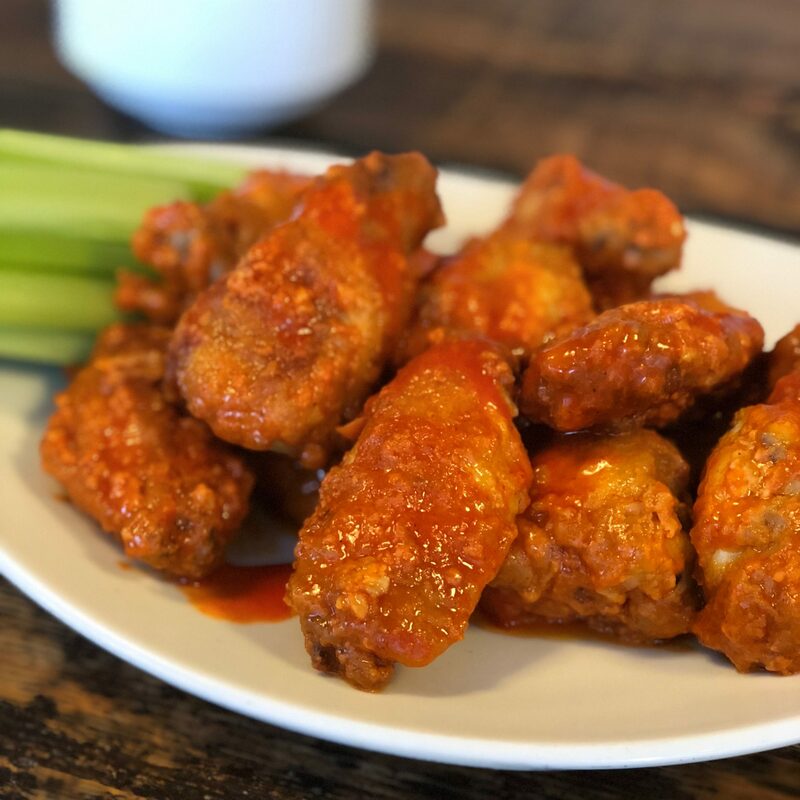 I rooted around the spice cabinet and eventually blended together my Mexican spice dream: chili powder, cumin, coriander, paprika and oregano mixed with a few tablespoons of kosher salt. I tossed the Vitamin A, Vitamin C, Zinc and Folate-rich okra with olive oil and my spice blend and then shoved two baking trays in the oven hoping for the best. Lo and behold, we created the absolute yummiest, crispiest, crunchiest- healthiest– okra chips we could have hoped for. By turning up the dial and the spices, we came up with a formula for making almost any veggie into a spicy, crunchy chip. Okra chips- the new kale chips??? Makes a generous amount of salt. Store leftover in an air-tight container. Will last for 6 months. 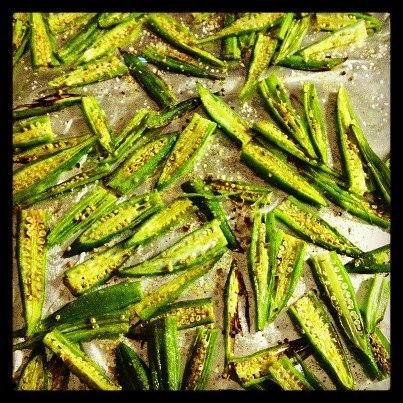 Toss sliced okra with olive oil to coat well. Sprinkle with homemade seasoned salt; taste and add more salt as necessary. Divide okra between 2 baking sheets. Roast for 10-12 minutes or until the edges turn golden brown. For this urban Carolina expat, this is nothing short of GENIUS. I’ve been following you both for years, marveling at your drive & creativity, and it took this for me to finally post an opinion. Looking forward to your next book. Southern fusion? Please? Hey there..tried these last night, but they still didn’t come out very crunchy. Not sure what I did wrong. They had a little crunch on the edges, but were still very mushy and slimy inside. I put them back in the oven while it was warm and let them sit overnight (almost like a dehydrator.) So hopefully they’ll be a bit drier this morning! I’m gonna give it a go again…okra is one of the few veggies my hubs will eat, so if I can find a way to cook it without frying it, I’m gonna keep trying til I get it right! 😀 Thanks! Hi Lara! Sounds like you are on the right track- you know what you’re doing ;). Sometimes if the okra browns too quickly (if the oven is too high, or it is sliced too thick) they’ll remain soft in the middle. Let us know how they turned out with the extra time drying.